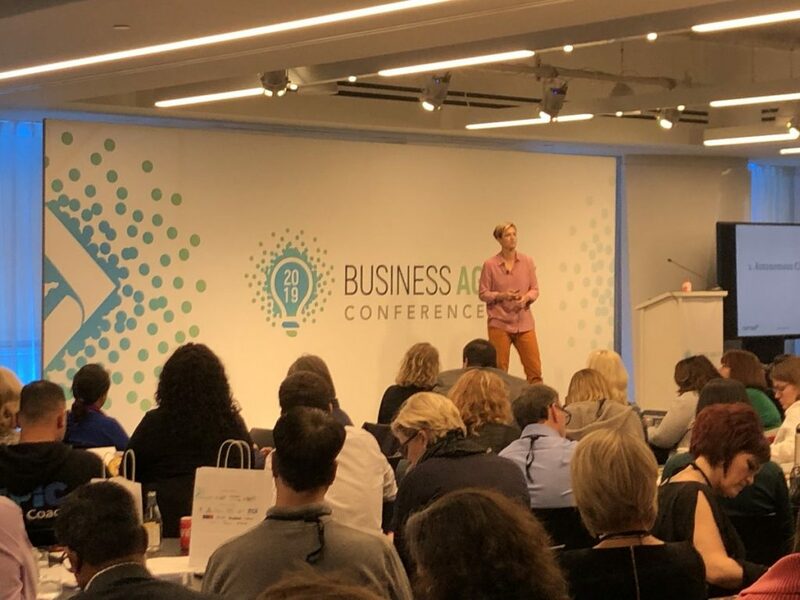 I recently returned from the third annual Business Agility Institute (BAI) conference held in New York City March 13-14th, and I’m excited to share some of the highlights and a few insights I had during the event. 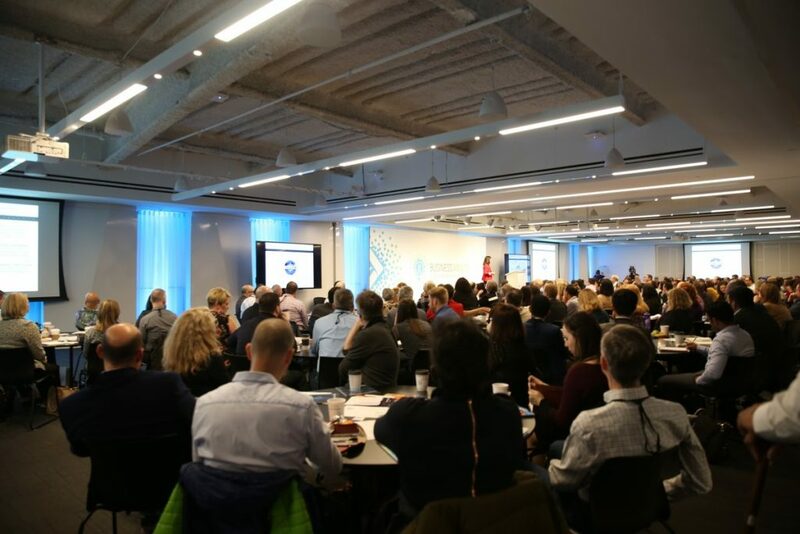 This was the largest gathering of Business Agility thought leaders and enthusiasts to date and the energy was absolutely amazing! The tone of the conference was set from the beginning when Evan Leybourn, President of BAI, explained in his introduction that the whole purpose of the conference is for those who are going through a Business Agility transformation to know they are not alone – others are going through the same journey and they have a community to engage in, learn from and collaborate with. This really resonated with me as I know that many who are leading these types of efforts carry a heavy load and would love to engage with other like-minded individuals in similar situations. Great message and it’s comforting to know we have friends! to get stuck in the weeds in a deep-dive on a topic that may not interest all participants. The actual format of the conference was individual blocks of three consecutive 20-minute presentations, a quick break followed by Q&A with the speakers, and then a facilitated discussion at the individual tables on the learnings captured from the talks. I think this is a brilliant concept as it allowed participants to immediately think through their learnings and get the perspective and insights of others while it’s fresh. I feel too often when attending conferences that I rarely get the time to digest what was presented and it often fades – not so with this format. I thought most of the talks were fantastic and I loved that almost all were from practitioners who were leading Business Agility efforts in their own organizations and not consultants showcasing a framework or set of tools. One noteworthy observation was that the first block of speakers were all women, which I’ve never seen at a technology conference – and they nailed it! 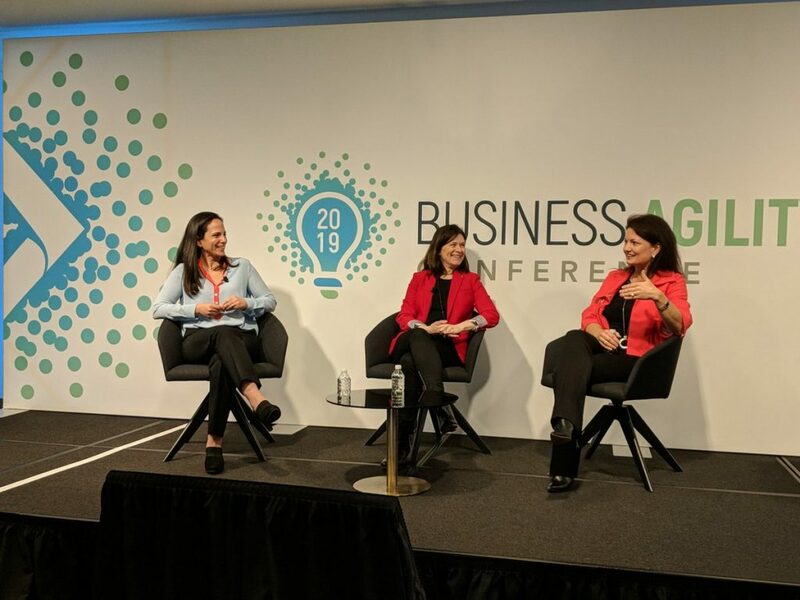 One was Monika Nelson, Global Experience Director at Mars, Inc. who discussed the importance of creating accurate journey maps to understand customer pain points. They did this with their B2B offerings for custom M&M products, which just weren’t selling well. They went through the journey maps, talked with many real customers and identified many key areas that had to be improved to succeed in that area of the business. She then emphasized the need to get the right people in a room together immediately after getting customer feedback in order to make decisions quickly. Barrie Effron, VP of the PMO at eMoney, shared some tremendous insights in her talk that hit home for me. One was the fact that Business Agility for startups isn’t planned, it’s survival, but for established organizations, it needs to be a focus and requires investment and tools. Barrie also said they no longer reward team performance, they reward cross-team performance. What an excellent way to ensure teams are working together and aligned on their outcomes! One of the more innovative presentations of the conference was Jason Gaulden’s talk on Agility in Education. Jason is VP of Partnership at America Succeeds and is leading an effort to bring agility to the K-12 public education system, which happens to be the largest body of employees and “customers” in the United States. What a challenge! He’s up for it though and highlighted how in order to fix the education system, it will require technology and tools, but it will primarily be about the people… who happen to make the difference in any transformation. Jason’s message really stuck with me as I am a stakeholder and have four “customers” in the public education system and desperately want to see innovations happen in this space for the good of the future of the United States. We also had several talks on niche topics in the Business Agility Space that I really appreciated such as Mirko Kleiner’s talk on lean-agile procurement. He shared with us the Lean Procurement Canvas, which is an excellent tool to collaboratively create an agile contract. Another was Christopher Creel’s talk on Adaptive Crowd Sourcing and his intriguing idea that tools like Slack and the collaboration that happens there can be a much better approach to collaborative action and decision making than traditional top-down approaches. I also really enjoyed Brandon Carlson’s talk on human-centered employee development. He explained how we talk so much of “work-life balance” but in reality, there is no such thing as work and life, it’s all life and work is part of life so we need to be in a position where we can find enjoyment in every part of life, including work. Brandon also outlined a unique alternative to the annual performance review by having an employee create their own press release that highlights where they want to be in the future and can help build a goal-setting growth plan. He suggested it shouldn’t just be about work, but about other areas employees want to focus on in their lives and then managers can work together with them to make their press release come true. Very cool idea! One final highlight I’ll share is the talk by Sandy Mamoli, a coach from New Zealand who I’ve been following for a while. Sandy discussed the concept of Holacracy as an alternative to the traditional organizational structure. Holacracy is the concept of building teams as autonomous circles that are provided a clear vision and purpose, and then empowered to determine the team structure and delivery methods of their choosing – allowing the teams to get the work done in a way that they feel is optimal for them. 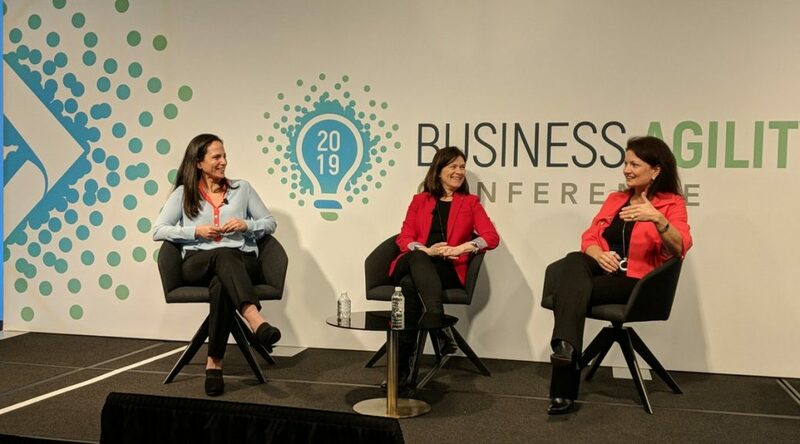 These are a few of the many highlights of the third annual Business Agility Institute conference and I hope you find these ideas interesting, intriguing and helpful. I highly recommend attending (and sending your leaders to) the BAI conference next year which will again be held in New York City. See you there!